Alex will receive 916 SWIFT after following, upvoting and resteeming this post and leaving a comment. It exceeds the cap so the maximum cap of 10,000 SWIFT applies. Luke will receive 10,000 SWIFT after following, upvoting and resteeming this post and leaving a comment. 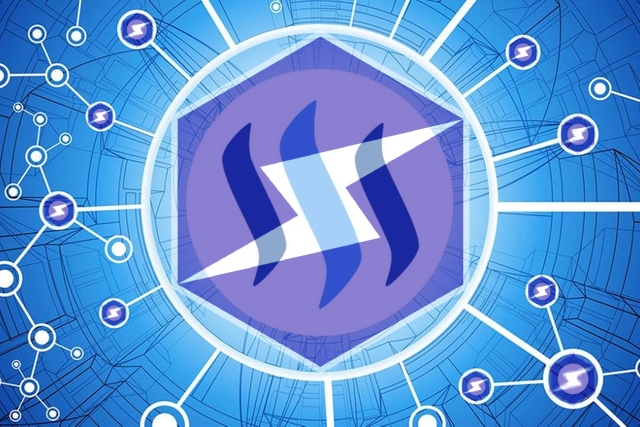 The steemian will need to follow @swiftcash, and then upvote this post(at 100% power) and RESTEEM, and also leave a comment. The rewards will be sent to eligible steemians using our TipBot(@swiftbot) hooked into the STEEM blockchain! Given the 1 Million giveaway cap, first come will be first served and the giveaway will only be doable until this post can be resteemed which is 1 week from the post datetime. If the whole 1M SWIFT is given away during the giveaway week, then great. If not, we will do another post for another week and continue this until 1M SWIFT is given away. There are various a penalties for accounts that are following more than they have followers. The maximum F these accounts can get will be 3000! Tips are sent by @swiftcash and are withdrawable by @swiftbot. Make sure you check the bandwidth power of these accounts before wondering why you're not getting your tip or a reply! If any whale out there is willing to delegate some power to these accounts, they're welcome! Mine SwiftCash on Your Phone! Magic Dice has rewarded your post with a 39% upvote. Thanks for playing Magic Dice. Btw, has SwiftCash something to do with the project SmartCash? For specific questions, join our discord please! ⚡$$$ Tipped @por500bolos ⚡100.00000000 SWIFT! If you don't know how I work, click here! Currently the price of SwiftCash in the market is $0.0037 USD per SWIFT. Current value of the tip is $0.3700 USD. To find out more about SwiftCash, please read our whitepaper! Are the tokens likely to disappear again from my wallet like they did when you last updated the blockchain? Nothing can disappear from any blockchain. If you're talking about our last fork and reset, we reached a consensus to start afresh and remove the unclaimed forkdrops - the consensus was about abandoning the previous blockchain. And we're still allowing people who have been negligent and late, to claim their coins in the new blockchain via proposals. The other day we had about half a million of that approved via a proposal. You can DM msg768 on discord if you haven't claimed yours yet since he's working on putting forward another proposal. I asked about this before the fork and was told that if i had staked the coins then it proved i was active. After receiving coins i assumed to be for staking i assumed i was ok. Then the old blockchain stopped producing blocks. i upgraded to the latest wallet and it was empty. Didn't you fork the blockchain previous to that because someone had multiple nodes? Is it likely to be forked again? If i reclaimed my coins would they just go back into my original wallet? Because block explorer is showing the new blockchain not the old blockchain. That's what a reset means. It means you start afresh in a new blockchain. The old blockchain was abandoned based on consensus. It happens a lot with young projects and small communities. If the majority of the SmartCash community had supported us, there wouldn't be a need for the last fork/reset. And no we did not fork before that because someone had multiple nodes. Where did you get that absurd statement from? We forked out the SmartCash hacker/exploiter who had 16 million coins. Also, too many questions. Join our discord for more info/support. ⚡$$$ Tipped @dune69 ⚡604.00000000 SWIFT! If you don't know how I work, reply help! Currently the price of SwiftCash in the market is $0.0036 USD per SWIFT. Current value of the tip is $2.1744 USD. To find out more about SwiftCash, please read our whitepaper! @dune69: ⚡604 SWIFT has been withdrawn from your account to SffdHm1HB24CCnAEA5B7J8atbFTkZKWbUQ. You have been charged ⚡0.01 SWIFT withdrawal fee. Transaction 75b5469009cf2388d7289ea42383497f12e8abd51a8e9648d5d02850fc1117ce is now completed. To monitor the transaction status click HERE. Cool, I'll take a look, thanks! With crypto being so stagnant lately, it's good to see a little development. Shows dedication. ⚡$$$ Tipped @nateonsteemit ⚡100.00000000 SWIFT! If you don't know how I work, reply help! Currently the price of SwiftCash in the market is $0.0036 USD per SWIFT. Current value of the tip is $0.3600 USD. To find out more about SwiftCash, please read our whitepaper! This is a great idea to promote any crypt including #SwiftCash. But the #SwiftCash developers guessed it before that. It would be cool if #SwiftCash would pay for articles on #Steemit, as it used to do with SmartChash, when this project was still young and normal. ⚡$$$ Tipped @komersreal ⚡100.00000000 SWIFT! If you don't know how I work, reply help! Currently the price of SwiftCash in the market is $0.0036 USD per SWIFT. Current value of the tip is $0.3600 USD. To find out more about SwiftCash, please read our whitepaper! @komersreal: ⚡100 SWIFT has been withdrawn from your account to SWGFUX7NUEP3PWhLkU26pAhnDZa62Vj3Gq. You have been charged ⚡0.01 SWIFT withdrawal fee. Transaction 229e6ed910e67d5626d41d1d97289fc889df27c6605a4c6676afbbb392f76187 is now completed. To monitor the transaction status click HERE. You have ⚡1003 SWIFT (unconfirmed: ⚡0 SWIFT). ⚡$$$ Tipped @aggroed ⚡10000.00000000 SWIFT! If you don't know how I work, click here! Currently the price of SwiftCash in the market is $0.0034 USD per SWIFT. Current value of the tip is $34.0000 USD. To find out more about SwiftCash, please read our whitepaper! Ok, let's see how it goes! Good luck. @msg768 @swiftcash I still have not received anything ! Not even the capped 10K !Wow! Have you checked the last two posts by @swiftcash? Just edited the comment after following the instructions of the new post. Thanks for mentioning. Not everybody has so much time to follow every new coin/project... If I get more invested in future I will for sure get more focused.Sorry but I have other priority's currently. It's not about that. It's about double checking something properly before leaving negative feedback about it on a public website like coingecko. No one would expect you to keep up-to-date with everything but people do expect you to do your research before you say something about something. Thanks anyway. Cool to see Swiftcash on Steem! Welcome to the social media of the future! And you have built a tip bot too! That's amazing! ⚡$$$ Tipped @coingecko ⚡1547.00000000 SWIFT! If you don't know how I work, click here! Currently the price of SwiftCash in the market is $0.0034 USD per SWIFT. Current value of the tip is $5.2598 USD. To find out more about SwiftCash, please read our whitepaper! I have Upvoted Followed and Resteemed over 4 hours ago still did not received my Reward. ⚡$$$ Tipped @bleujay ⚡10000.00000000 SWIFT! If you don't know how I work, reply help! Currently the price of SwiftCash in the market is $0.0036 USD per SWIFT. Current value of the tip is $36.0000 USD. To find out more about SwiftCash, please read our whitepaper! ⚡$$$ Tipped @destinysaid ⚡100.00000000 SWIFT! If you don't know how I work, click here! Currently the price of SwiftCash in the market is $0.0041 USD per SWIFT. Current value of the tip is $0.4100 USD. To find out more about SwiftCash, please read our whitepaper! ⚡$$$ Tipped @furious-one ⚡308.00000000 SWIFT! If you don't know how I work, click here! Currently the price of SwiftCash in the market is $0.0034 USD per SWIFT. Current value of the tip is $1.0472 USD. To find out more about SwiftCash, please read our whitepaper! Upvoted and resteemed. Looking forward to my Swift Tokens. ⚡$$$ Tipped @arunava ⚡2326.00000000 SWIFT! If you don't know how I work, click here! Currently the price of SwiftCash in the market is $0.0034 USD per SWIFT. Current value of the tip is $7.9084 USD. To find out more about SwiftCash, please read our whitepaper! Does Delegated SP count on the calculation? ⚡$$$ Tipped @patelincho ⚡100.00000000 SWIFT! If you don't know how I work, click here! Currently the price of SwiftCash in the market is $0.0034 USD per SWIFT. Current value of the tip is $0.3400 USD. To find out more about SwiftCash, please read our whitepaper! ⚡$$$ Tipped @jassennessaj ⚡809.00000000 SWIFT! If you don't know how I work, click here! Currently the price of SwiftCash in the market is $0.0034 USD per SWIFT. Current value of the tip is $2.7506 USD. To find out more about SwiftCash, please read our whitepaper! Followed, resteemed and 100% upvoted. I love me some swiftcash! What a great way to reward another great blockchain and solid community. Following and resteeming. Awesome. Commented, followed, upvoted, resteemed! I wish you the best success on steem. ⚡$$$ Tipped @cadawg ⚡100.00000000 SWIFT! If you don't know how I work, click here! Currently the price of SwiftCash in the market is $0.0034 USD per SWIFT. Current value of the tip is $0.3400 USD. To find out more about SwiftCash, please read our whitepaper! ⚡$$$ Tipped @iliasdiamantis ⚡876.00000000 SWIFT! If you don't know how I work, click here! Currently the price of SwiftCash in the market is $0.0034 USD per SWIFT. Current value of the tip is $2.9784 USD. To find out more about SwiftCash, please read our whitepaper! ⚡$$$ Tipped @cknr7 ⚡144.00000000 SWIFT! If you don't know how I work, reply help! Currently the price of SwiftCash in the market is $0.0036 USD per SWIFT. Current value of the tip is $0.5184 USD. To find out more about SwiftCash, please read our whitepaper! @cknr7: ⚡144 SWIFT has been withdrawn from your account to SNemvgmhZHfwGW2MaLYBvKPPDAHUHJ5B1r. You have been charged ⚡0.01 SWIFT withdrawal fee. Transaction 615ba66dcc1f3e30aa79f20df77b050549d037f188b549745d67e40e12649ca2 is now completed. To monitor the transaction status click HERE. Thank you for the tokens! ⚡$$$ Tipped @peter2017 ⚡492.00000000 SWIFT! If you don't know how I work, click here! Currently the price of SwiftCash in the market is $0.0037 USD per SWIFT. Current value of the tip is $1.8204 USD. To find out more about SwiftCash, please read our whitepaper! ⚡$$$ Tipped @nuagnorab ⚡189.00000000 SWIFT! If you don't know how I work, reply help! Currently the price of SwiftCash in the market is $0.0036 USD per SWIFT. Current value of the tip is $0.6804 USD. To find out more about SwiftCash, please read our whitepaper! Hi @swiftcash、thank you for this opportunity. Much appreciated. ⚡$$$ Tipped @lenmar ⚡100.00000000 SWIFT! If you don't know how I work, reply help! Currently the price of SwiftCash in the market is $0.0036 USD per SWIFT. Current value of the tip is $0.3600 USD. To find out more about SwiftCash, please read our whitepaper! ⚡$$$ Tipped @caladan ⚡205.00000000 SWIFT! If you don't know how I work, reply help! Currently the price of SwiftCash in the market is $0.0036 USD per SWIFT. Current value of the tip is $0.7380 USD. To find out more about SwiftCash, please read our whitepaper! @caladan: ⚡205 SWIFT has been withdrawn from your account to SSXGvjbB1ybiWAKUCeXcEGdNV5MNLDeHmk. You have been charged ⚡0.01 SWIFT withdrawal fee. Transaction f402f49fef627f1f0837275cd612919c36319ced52178589486a289cd81e6ec5 is now completed. To monitor the transaction status click HERE. Upvoted, followed, and resteemed, thanks for the tokens! Awesome. Thank you for the swift! ⚡$$$ Tipped @nessos ⚡100.00000000 SWIFT! If you don't know how I work, click here! Currently the price of SwiftCash in the market is $0.0034 USD per SWIFT. Current value of the tip is $0.3400 USD. To find out more about SwiftCash, please read our whitepaper! ⚡$$$ Tipped @bbrewer ⚡588.00000000 SWIFT! If you don't know how I work, reply help! Currently the price of SwiftCash in the market is $0.0036 USD per SWIFT. Current value of the tip is $2.1168 USD. To find out more about SwiftCash, please read our whitepaper! Upvoted resteemed and left comment:-) any thing more to do? ⚡$$$ Tipped @everydaycoach ⚡404.00000000 SWIFT! If you don't know how I work, click here! Currently the price of SwiftCash in the market is $0.0037 USD per SWIFT. Current value of the tip is $1.4948 USD. To find out more about SwiftCash, please read our whitepaper! It'd be nice if you could get rid of the resteem requirement. I hate resteeming and would like some. Might have to do that :). I'm right there with ya. I'm hesitant to "endorse" something I haven't tested & barely researched. I've had those moments & they don't feel great. Do you ever have optimistic existential crisis thoughts to what kind of person you'll be if you gain wealth if even one of these hits? Just me? ⚡$$$ Tipped @kommy ⚡100.00000000 SWIFT! If you don't know how I work, click here! Currently the price of SwiftCash in the market is $0.0041 USD per SWIFT. Current value of the tip is $0.4100 USD. To find out more about SwiftCash, please read our whitepaper! Cool way to do things, thanks! Done! I hope I made the cut. All the best, @swiftcash! Follow, up vote and resteem done. ⚡$$$ Tipped @p-props ⚡100.00000000 SWIFT! If you don't know how I work, click here! Currently the price of SwiftCash in the market is $0.0041 USD per SWIFT. Current value of the tip is $0.4100 USD. To find out more about SwiftCash, please read our whitepaper! ⚡$$$ Tipped @sevinwilson ⚡845.00000000 SWIFT! If you don't know how I work, reply help! Currently the price of SwiftCash in the market is $0.0036 USD per SWIFT. Current value of the tip is $3.0420 USD. To find out more about SwiftCash, please read our whitepaper! Folow, upvoted, and resteem @swiftcash. Thanks for this giveaway opportunity to the steemians. ⚡$$$ Tipped @vinzie1 ⚡100.00000000 SWIFT! If you don't know how I work, click here! Currently the price of SwiftCash in the market is $0.0041 USD per SWIFT. Current value of the tip is $0.4100 USD. To find out more about SwiftCash, please read our whitepaper! Great initiative. Followed, upvoted & resteemed! Thank you very much @swiftcash. ⚡$$$ Tipped @nathanko ⚡100.00000000 SWIFT! If you don't know how I work, reply help! Currently the price of SwiftCash in the market is $0.0036 USD per SWIFT. Current value of the tip is $0.3600 USD. To find out more about SwiftCash, please read our whitepaper! ⚡$$$ Tipped @edkarnie ⚡177.00000000 SWIFT! If you don't know how I work, click here! Currently the price of SwiftCash in the market is $0.0037 USD per SWIFT. Current value of the tip is $0.6549 USD. To find out more about SwiftCash, please read our whitepaper! ⚡$$$ Tipped @bentleycapital ⚡181.00000000 SWIFT! If you don't know how I work, reply help! Currently the price of SwiftCash in the market is $0.0036 USD per SWIFT. Current value of the tip is $0.6516 USD. To find out more about SwiftCash, please read our whitepaper! Followed @swiftcash, Resteemed & Upvoted the post, and now writing this comment. I have bookmarked SwiftCash's official website, but don't have the time right now, so will go through it shortly. Have nice day & see you on your discord channel for more details.